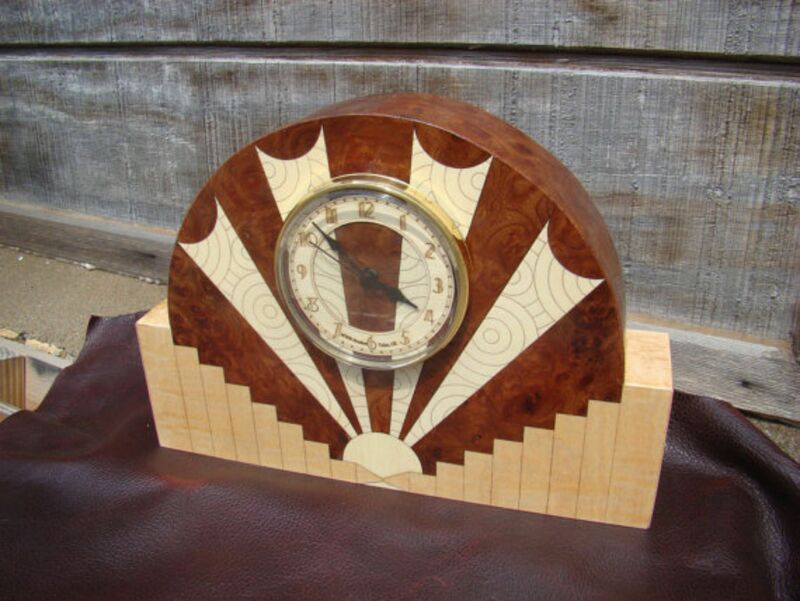 Another beautiful Art Deco clock. This one is made of madrone burl, figured maple and holly. The dial is also made of the same woods. It is 11-1/2" wide and 8" tall. It has a battery operated quartz movement. Each of my clocks can be personalized either on the back, front or dial, just let me know when you order what you would like if you want personaliztion. My clocks are great for weddings, anniversary's, house warming or office decor. 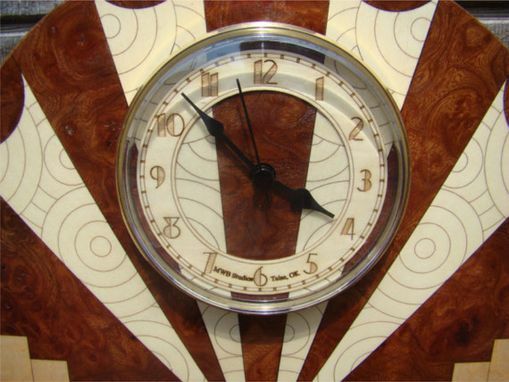 Each clock is made to order so please allow 4 weeks for your clock to ship.